Comfort Square is a custom cabinet business located in the northwest suburbs of Chicago, IL. 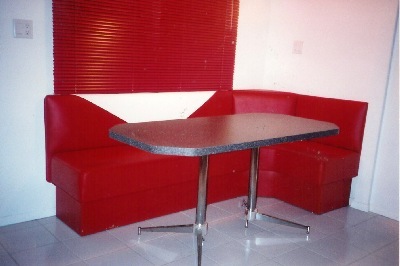 Operating since 1985, we specialize in custom-made, built-in wall units, as well as free-standing furniture. Owner and operator Mike Benstein was first introduced to building furniture at a factory, making breakfast nooks in 1974. There he learned woodworking, plastic laminate, and upholstery. He became the woodshop foreman when he was 21. Comfort Square started in 1985, making ottomans including "Comfort Cubes," small cubical ottomans. Soon after that, Mike started building and repairing all sorts of furniture and remodeling kitchens and bathrooms. In 1986, Mike did some work with another craftsman, where he learned the fine art of custom, built-in furniture. 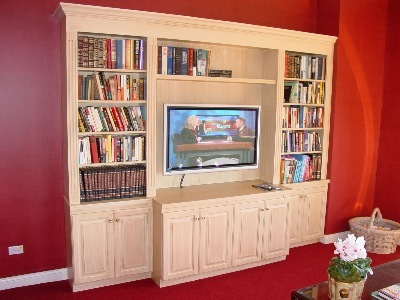 Custom built-ins have been Comfort Square's specialty ever since. We are happy to announce that we are celebrating 30 years of business! Last year was our best ever and so far this year is proving to be even better! This is not only great for us, but is good for you too. Why? When choosing a craftsman to do a job in your home, experience matters. The fact that referrals and repeat clients have provided work for all these years, says a lot. You'll be glad to know that Comfort Square has stood the test of time.